Reported by Cole Constantineau and translated into Canadian (ok, English) by Brian Johansen. 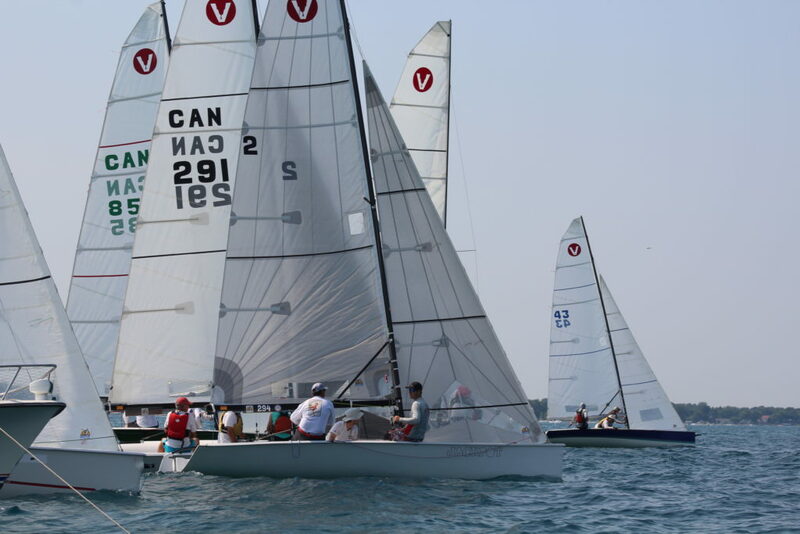 Sailing out of the idyllic Sarnia Yacht Club over two days, Brad Boston, with Mike Vigrass and Cole Constantineau won the 2018 Viper 640 Great Lake Championship. The next three spots on the leaderboard were hard fought, with a 3-point spread from 2nd to 4th place. 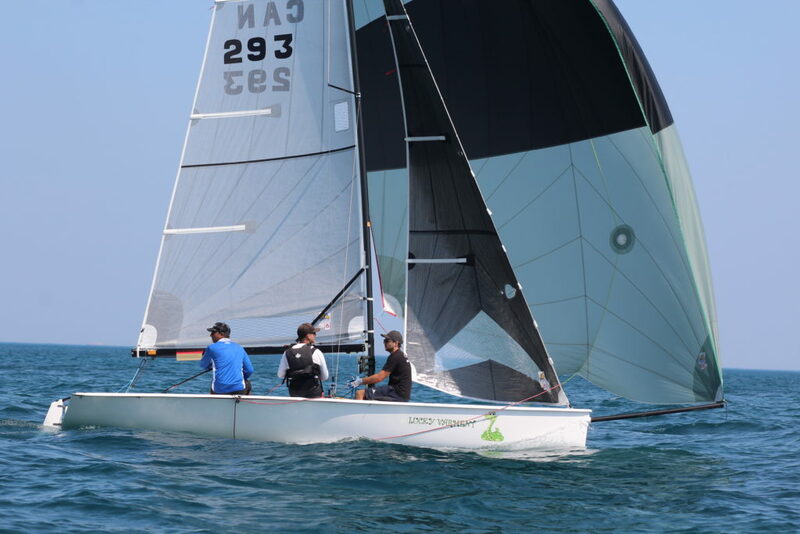 After the dust settled following the last race, Steve Chapman’s Oshunmare, with Christophe Ledent and Quinton Gallon aboard, finished the regatta in 2nd place and Brian Johansen’s Northern Honey Badger (with crew Jonah Kember and Betsy Carson) finished in 3rd. The spectacularly clear and inviting waters of southern Lake Huron proved to be the perfect meeting point for the Great Lakes Viper fleet which enjoyed both warm hospitality from Sarnia Yacht Club, regatta organizer Brian Johansen and tip top on-water race management courtesy of Kelly Boston with Brandy and Lynz Boston providing support boats and photography. Special thanks goes to Derek Jackson for his double duty of mark set and on water photographer for the awards trophies. The sunny, light wind morning of the first day of the regatta resulted in an on-shore postponement which gave visitors and late-night rascals a chance to ease into the event with some paddle boarding down the St. Clair river, shoreside relaxation and shipwreck tours out on Lake Huron (while looking for wind of course). Around 1pm though, a ‘sea-breeze’ had set in and seemed to be winning out over the prevailing southerly, prompting the RC to strike the postponement and set up a course. 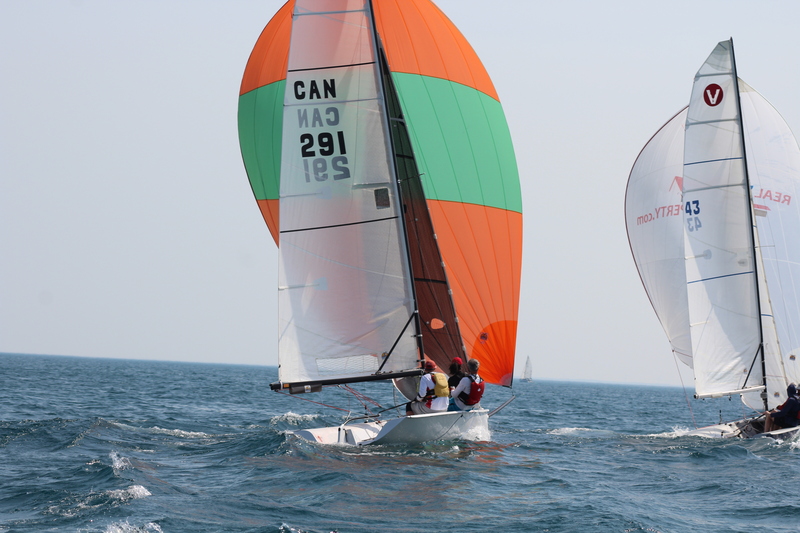 These conditions proved to be very tricky, with motor boat wakes chopping up the course, a 2-knot current from the St. Clair river keeping things interesting and a continual battle between northerly and southerly breezes creating a patchy (but still sailable) race course. Northern Honey Badger was very consistent in these conditions, showing keen attention to the puffs coming down the course and good boat speed in the light conditions. Patience in boat maneuvers and attention to the current paid dividends, with the leaderboard after day one showing Northern Honey Badger in first, James Colburn’s Lucky Varmint (Jonathan Ladha, James Colburn, and Justin Barnes) in 2nd, and a 3-way tie for 3rd. 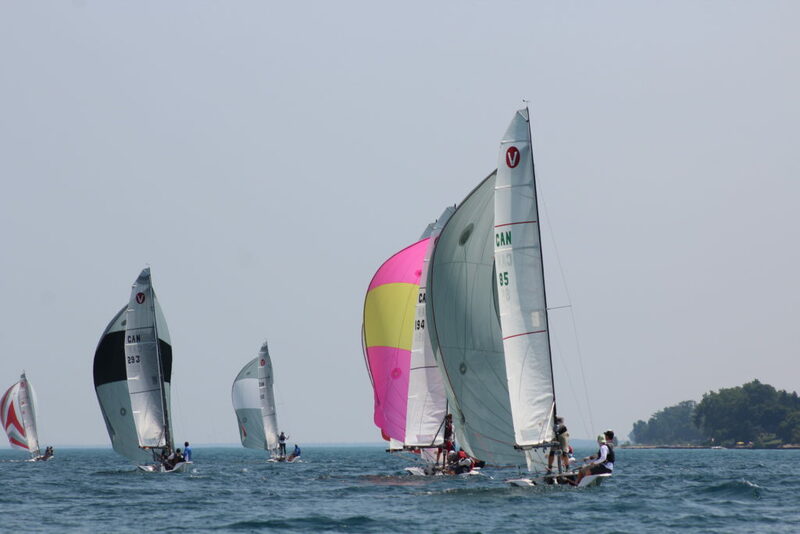 As the southerly breeze eventually came to win out and kill off the sea breeze, racing was concluded for the day with a much-needed swim in the turquoise waters of Lake Huron followed by a social dinner party at one of the yacht clubs gorgeous barbeque stations courtesy of “Dock 4”. 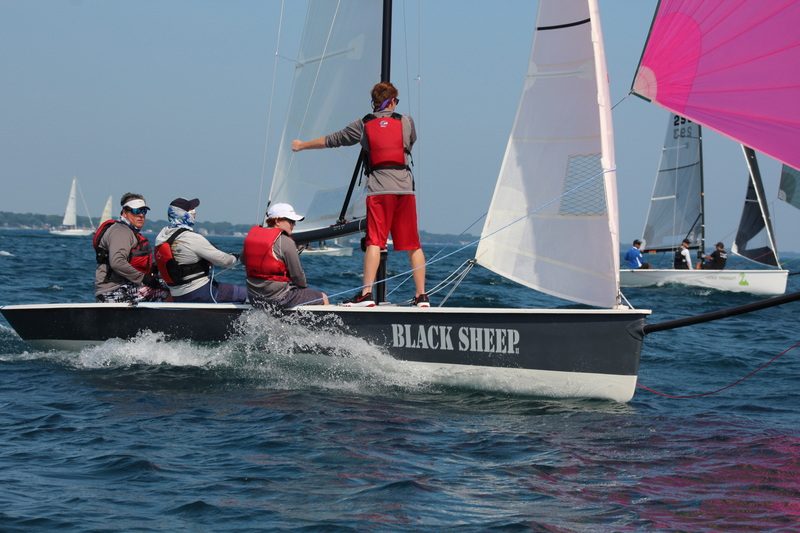 Day 2 of the regatta showed the fleet a consistent southerly breeze in the 10-15 kt range under perfect Canadian summer skies. After shaking off the cobwebs from a night of beach bonfires and nighttime swimming, the fleet sailed 5 races on the last day before the cut-off time of 2pm. Downwinds were fun and dynamic, with big gains being made by boats that were able to get to the puffs first and pop the boats out to plane by competitors. The puffs were fun with boats responding, jumping from 8 kts to 12kts and distances between boats see-sawing back and forth. Throughout the day however, Brad Boston’s Jackpot put on a clinic, staying fast upwind and down by keeping the boat flat through the light chop. Lucky Varmint, Oshunmare, and Northern Honey Badger had an epic duel to finish the regatta, shifting positions during every leg on the day. Each boat battled through adversity (small broaches, OCS’, and the like) to stay in the hunt with one another, with the final race deciding the rest of the podium. 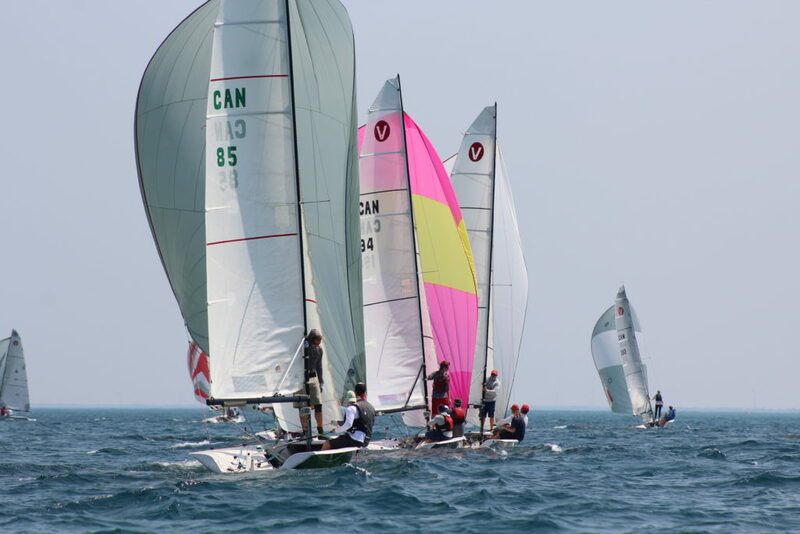 Shore-side camaraderie welcomed the fleet back in to the Sarnia YC, with boat packing and race debriefing prolonging for a few more minutes another great weekend in Viperdom!